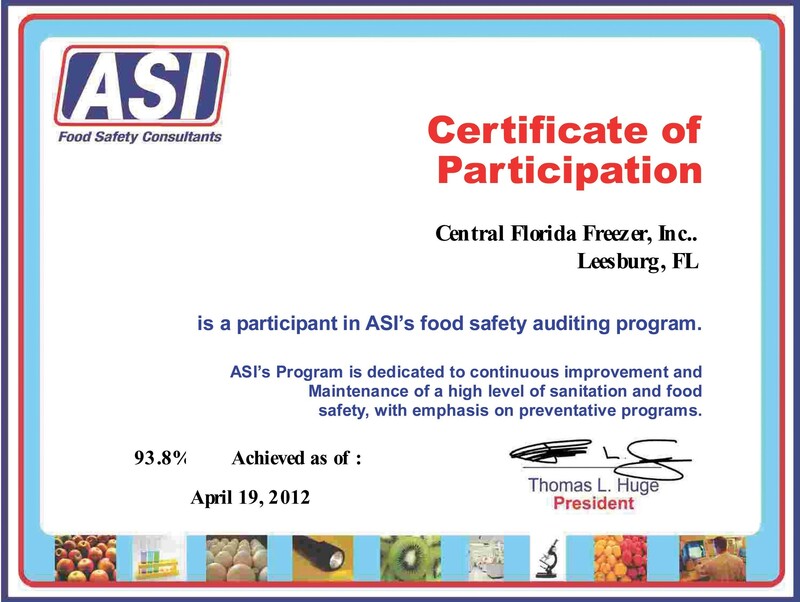 Central Florida Freezer, Inc. achieves superior ranking as a participant in a Nationally acclaimed General Manufacturing Practices and Food Safety Audit. The audit validates Central Florida Freezer’s commitment to being a leader in the public warehouse industry, with a reputation that stands alongside any in the cold storage business. I am writing to recommend the services of the Central Florida Freezer, Inc. I have been using Central Florida Freezer, Inc to store my frozen goods for the past five years, and have always been completely satisfied. They do an excellent job, are always punctual, and offer the most competitive rates in town. nice aria very clean facility.